Hello there! Hope you are enjoying your day so far. 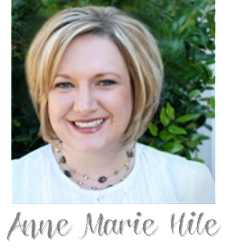 This week over at the Paper Players, my sweet friend Ann is our challenge hostess with a really fun sketch. There are lots of possibilities with this sketch and I love that little tag element. I hope thou will join us and play along. 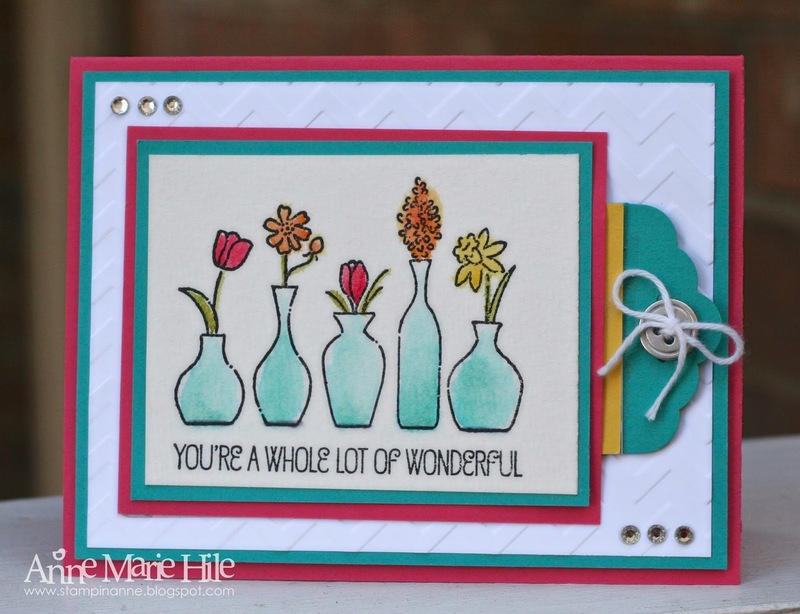 I used my new Vivid Vases stamp that is in the new Occasions Catalog for the main image on my card. I received this stamp at SU! Leadership conference a few weeks ago. it is a REALLY fun stamp to watercolor. What I love about watercoloring is that it doesn't have to be perfect. You can go outside the lines a little bit and it just adds to the look. Which is a good thing because I went outside the lines with my Aquapainter more then a few times while coloring this one. Haha! My little tag pulls out of the card and shows off the super cute Kaleidoscope DSP Love the fun colors and patterns on this paper! I had initially intended this to be a gift card holder, but after I got everything cut, I measured it a wee bit too small. Whoops! The recipient could always use the tag for a bookmark or could add to it to use on a card or gift of their own. Please join us over at the Paper Players! The challenge is open through Friday, January 31st, 2014 at Noon (PDT). Stop by and say hello to the rest of the Design Team to see what they are sharing this week. Love the water coloring Anne Marie and your tag is a sweet surprise!! Gorgeous card with a lovely tag! I love your card and I love this stamp, Anne! It's my new favorite, I think. Love how you've colored it, and the idea to use the tag as a bookmark is fabulous! 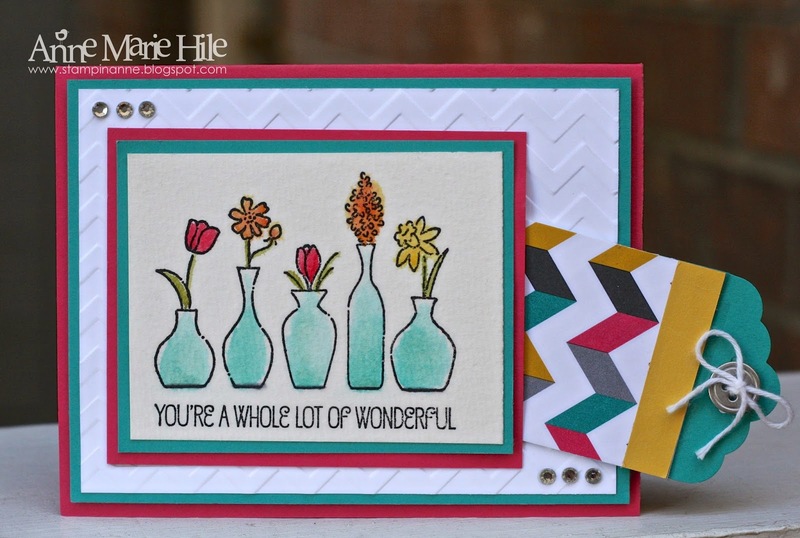 What a sweet card...your watercoloring is perfectly wonderful! Bright & cheerful! Ann Marie such a cute scene with your vases on the shelf.... I love the watercolor look too... and going outside the lines is the part I like! hugs. Ann Marie your vases are done so pretty. I love watercoloring... and the going outside the lines is my favorite part! hugs.